On Monday, authorities of the Indian Air Force again stated they had “irrefutable evidence” that Pakistan used a fighter jet F-16 in the dogfight and downed its MiG-21 Bison. The reiteration by India comes after two senior US defense officials with direct knowledge of the situation told Foreign Policy magazine that US personnel recently counted Pakistan’s F-16s and found none missing. Furthermore, India’s refutation comes when two senior US officials with direct knowledge of the situation told Foreign Policy magazine that US staff recently counted the F-16s from Pakistan and discovered none missing. The count, performed by US authorities on the floor in Pakistan, casts doubt on India’s version of events, suggesting that the rest of the world may have been deceived by Indian officials. Following the Pulwama incident, Kashmir invaded, tensions soared between India and Pakistan. India blamed Pakistan for the Pulwama without submitting any proof. Pakistan has strongly disproved the claims. People had their own feedback to the above tweet. 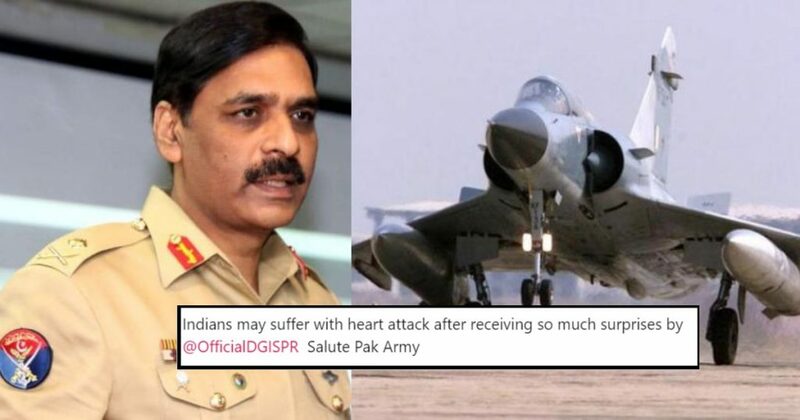 In response, India said it carried out on February 26 air strikes on what it called a training camp at Balakot inside Pakistan. The Indian government was quick to take credit for a “successful” move. Pakistani officials, as well as the locals, rejected the claims, inviting local and international media to visit the site of the so-called incident where around a dozen trees were the only knocked down. 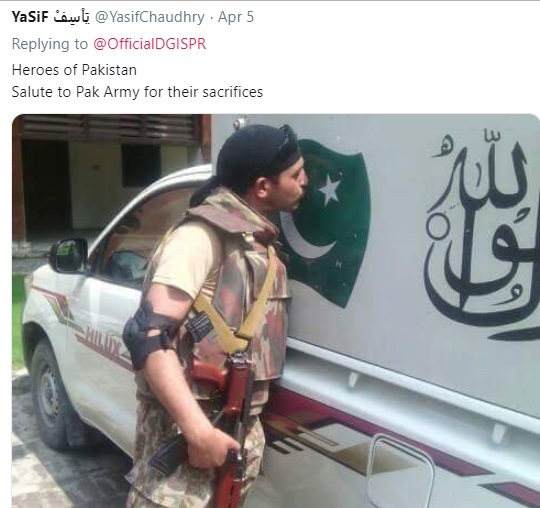 The Pakistan Air Force, in retaliatory action, downed two Indian aircraft the next day, taking as the hostage of the Indian Wing Commander Abhinandan who was then released as a peace gesture by Pakistan. 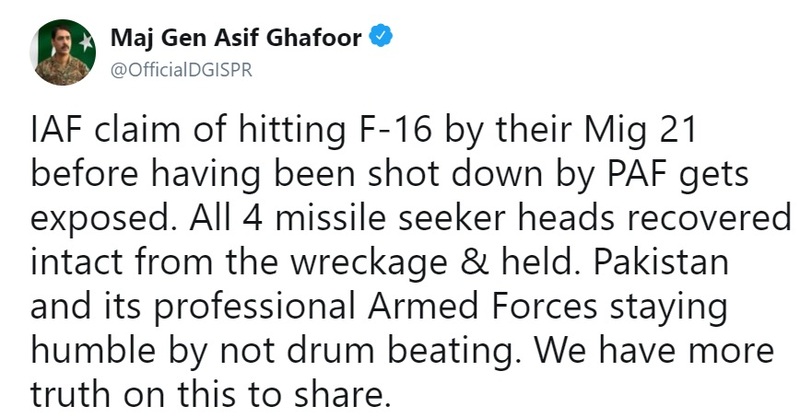 In conclusion, we still have more to figure out on this and waiting to hear from Major General Asif Ghafoor. If you have anything to add to this story, let us know and enlighten us with your take on this entire situation that has been going on and how India is accusing Pakistan with various actions we didn’t take.